The entire world is under the grip of terrorism. It hasn't spared a single nation in the world. Millions of innocent people have lost their lives to terrorism over the years. India also doesn't lag behind. India remains vulnerable to the threat of global terrorism. Terrorism has already dug its claws in our nation. India has been an easy and favourite target for terrorist activities over the years. Even the year 2016 started off on a horrific note as we encountered yet another terrorist attack. On Jan 19th the Delhi police arrested a suspected terrorist from Roorkee, Uttarakhand. The suspect is said to be associated with an international terror group. Three other men have also been detained by the police in Uttarakhand. 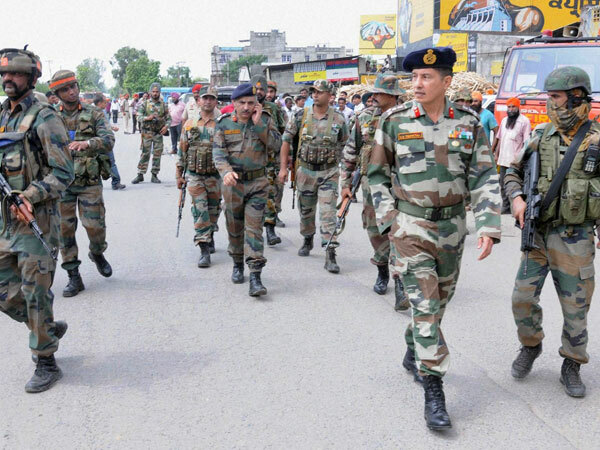 Reports suggested, the terrorists were planning to target the Kumbh Mela in Haridwar. They were also planning to target some vital locations in the national capital along with other places in its vicinity. The arrests were made just a day after the police had arrested a terrorist belonging to Al-Queda named Abu- al- sami from Mewat, Haryana. Sami has also provided the police with certain informations concerning terror strikes around Republic day. All of these arrests were made in the light of the recent Pathankot attack, which has shaken the entire nation. It was a sudden attack and people were taken aback. It took a while for people to register the attack which took place on 2nd Jan. The vicious attack was made on the Pathankot air force station by a group of six terrorists. The Indian defence forces retaliated and made counter attack. Heavy casualties were reported with seven Indian soldiers sacrificing their lives. United Jihad council claimed the responsibility of such a gutless attack. Reports also suggested that the strategic attacks were an attempt to hamper the peace processes that are meant to make a balance between India and Pakistan. Maulana Masood Azhar, chief of Jaish-e- mohammed and his brother Abdul Rauf Asghar, are among four persons identified by the Indian Intelligence agencies as " handlers" behind the attack. After the attack and the subsequent arrests made in Roorkee and Mewat, the National Capital Delhi was put on high alert. The Delhi Police received information that two terrorists from Jaish-e- Mohammed had entered the city. The security was tightened across the city and extra security forces were called in keeping the approaching Republic day in mind. This was not the first time that a terror strike of such an intensity have taken place in the country. Innocent lives have been lost in such attacks but still there's no stopping them. Nations all over the world are trying their best to combat the rising terrorism. India itself is fighting for a terror free country, hence a terror free world. But attacks such as the recent Pathankot attack, questions about the lack of clear command structures within the security forces, long duration of such attacks, high casualties etc. It also questions whether we are really prepared to fight terrorism. Will there ever be an end to the terror of terrorism?? ?